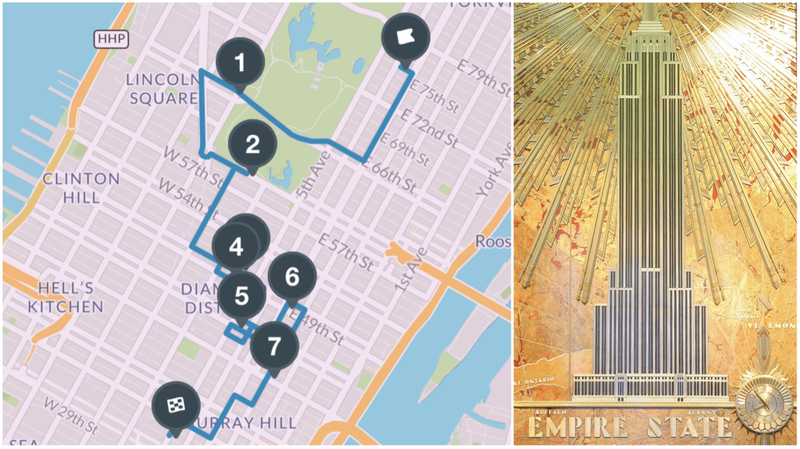 The story of New York City as we know it is kind of, in a lot of ways, the story of Art Deco. To the Big Apple, Art Deco is more than just a style or a design... it’s an attitude. It embodies the 1920s, the Jazz Age. As skyscrapers began to grow taller, hemlines and haircuts for women got shorter. Prohibition didn’t stop speakeasies from cropping up, and the wild, innovative sounds of jazz music poured from lounges and clubs. An era this radical of course came to an end with a bang once the Great Depression hit, but America was permanently changed by the 1920s. Many of the most iconic buildings in New York, the ones we think of instantly when we think of the city, were built during the Roaring 20s. Art Deco details are hidden on buildings all across the five boroughs, but Manhattan is a great neighborhood for an Art Deco architecture walking tour. See the full guide here.